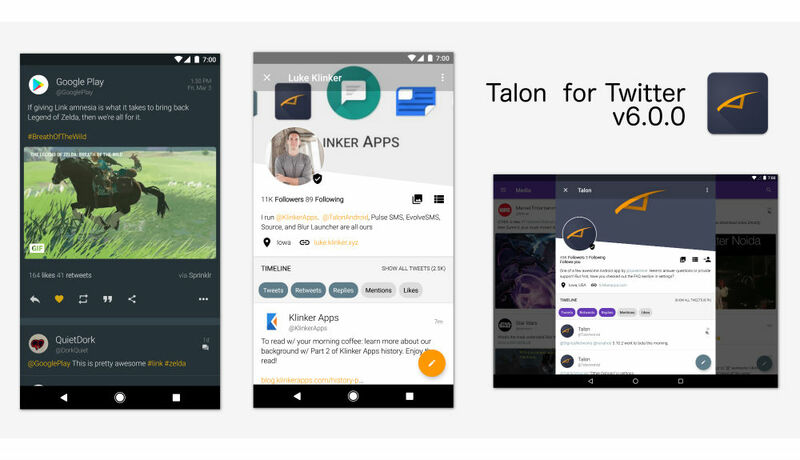 A massive update is headed out to users of Talon, at least, for users not already signed up for the beta. Version 6.0 is the label, bringing an overhaul for the entire UI, including the tweet viewer and profile viewer. As detailed in the changelog, new features include advanced filtering options, ability to view conversations on a tweet, viewing user lists (as long as they’re public), and more. The update also brings a healthy portion of bug fixes and improvements, according to the developer. Listed on Google Play, the article viewer has been enhanced, fixes for the YouTube and Twitter video player are included, plus tablet users will see better support and layouts. If you would like to see these updates ahead of everyone else, and provide feedback to the developer, feel free to join the beta by adding yourself to this group on Google+. Below is the entire changelo(n)g. It’s quite extensive. Twitter Moments links will always open to the Twitter webpage, since they don’t make these available to third party apps.